Category Archives: The Wyre Way. THE WAY OF THE CROW. 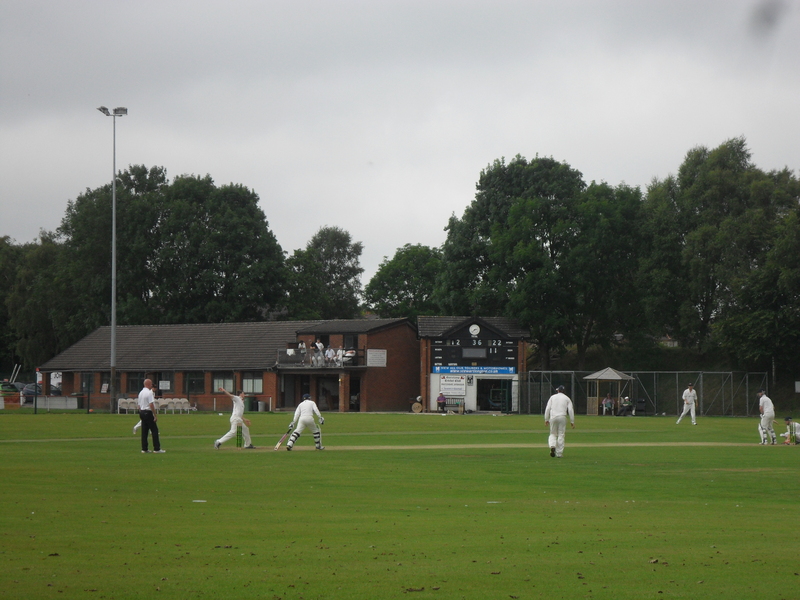 Third day, Arbour to Lentworth Hall. First a moan… The Countryside and Rights of Way Act of 2000 ( the CROW Act, not the crow we are following ) gives a public right of access to land mapped as ‘open country’ known as open access land. A large area of the Bowland Fells are so designated which should give some degree of freedom to roam on the moorlands. However not all is as it seems. The 1:25,000 OS maps highlight open access land with orange shading but the areas do not always link up with the public rights of way, creating a problem of reaching the access area in the first place. There are actually some ‘islands’ of access land with no access! This morning we are faced with one of these dilemmas, the lane back to Arbour is private for the first kilometre [red dots] so the logical way into the access area is denied legally. Who came up with these walker unfriendly ideas? I’m afraid those powerful landowners had too much influence when the plans were being drawn . Anyhow here we are back at the Arbour shooting lodge in its remote setting, ready for another ‘up and over’. Today we have to climb over Stake House and Grizedale Fells. There is still no sign of the rhino. We take the opportunity of some shelter by the lodge to divest of some clothing before the sweaty climb. A vague track is lost and then found as we puff up the steep slope alongside a series of very posh shooting butts. This track in fact takes us to the unmarked summit of Stake House, 402m, where we can admire views of Morecambe Bay, the Clougha Pike, Grit Fell, Ward’s Stone and Wolfhole Fell group with the Trough Of Bowland spread out below. We take a compass bearing to a pond which should be near the start of the track at Grizesdale Head. We are in the middle of a wilderness here though the going is better than we’d anticipated, short heather and not too much bog. The weather is changeable! A hazy Morecambe Bay with another storm coming in. Wilderness – on a compass bearing. Out of nowhere a gate in the boundary fence appears and this gives us easy access to the landrover track we are relying on to take us off the moors. We do so in swoops down the hillside as the weather takes a turn for the worse, wind and hail. At the road we are glad to hide behind a wall for lunch and watch the lazy antics of some contractors trying to offload fence posts. I do not envy their work outside in these conditions. Opposite is a private lane to Catshaw Farms which is right on our route line, we wave enthusiastically at farm workers who pass us but nobody seems bothered by our presence. Once at the large farm complex we are back on public rights of way. 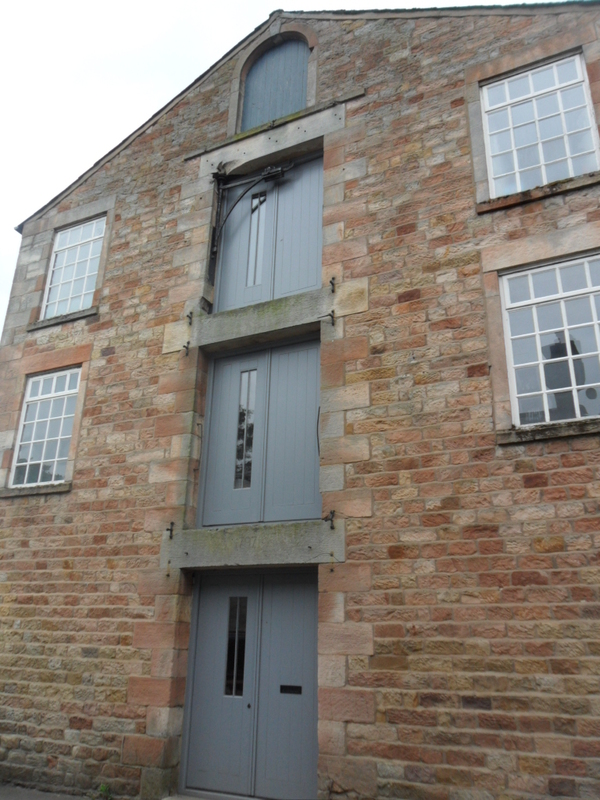 Catshaw Hall Farm dates from the 17C, grade II listed with mullioned windows. There was work going on today. Muddy fields drop down towards the River Wyre where many trees are down from recent storms. At a side stream the path has been washed away leading to some undignified bum sliding to reach the newly reconstructed footbridge. The bridge over The Wyre is made of sturdier timbers. I realise have been here before. Steep slippy steps bring us into fields belonging to Lentwoth Hall, now divided into apartments. The final lane with ‘walking’ trees. This whole area of Abbeystead is part of the Grosvenor estate owned by the Dukes Of Westminster. It holds the record for the biggest grouse bag in a day. On 12 August 1915, 2,929 birds were shot by eight shooters. We have survived the day through their estate and will carry on no doubt to trespass further estates on our straight line. I’m glad we finished when we did as the weather became atrocious, it’s the first day of winter tomorrow. 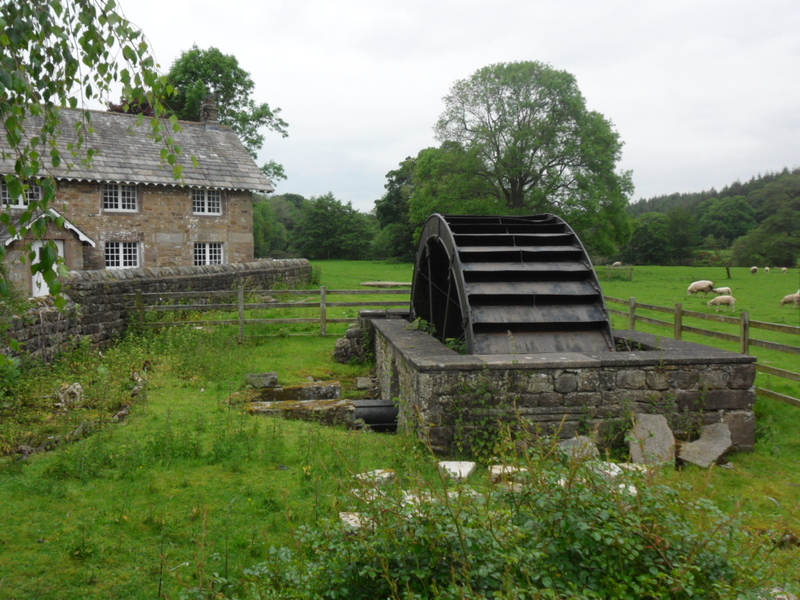 This entry was posted in Bowland Fells., Lancashire., Long Distance Walks., The Wyre Way., Walking. and tagged Bowland, Lancashire, Long Distance Walks, Walking., Wyre Way on November 30, 2018 by bowlandclimber. A DAY BY THE SEASIDE – Blackpool Prom. A beautiful sunrise and minus 5° temperatures dragged me out of bed. After yesterday’s experimental stroll I was still able to put one foot in front of the other. Time to get going. Almost to the year Sir Hugh and I were walking around the Fylde on The Wyre Way. Having walked from Fleetwood to Rossall we cut across country to the River Wyre itself to complete the route on a dismal December day. Today, a not to be missed sunny one, with temperatures struggling to reach zero I was back: parked possibly illegally in Rossall School with the intention of walking 10 miles to South Shore terminus and catching the tram back. As a get out I could catch the tram at virtually any point if I was struggling. Once on the promenade I realised the possible foolishness of this venture, the path was an ice rink even the dogs, which were outnumbering people, were skating about. Out came the walking poles to give me some security, I was here for some easy flat walking to test my hip not to fall and break something. The sea played little part in today’s walk: the tide was out, the waves flat and the sombre December weather blurred the horizon. So I could concentrate on the immediate surroundings of the promenade. Inland to start was dreary housing and apartments, retirement ‘I do like to be by the sea’ places. All very forgettable. But the new Clevelys promenade is all curves and a pleasure to explore. Clevelys, Bispham and Norbreck passed by, the clock tower and the hotel notable landmarks. The sea front hotels in this area reflect back to a golden age with names redolent of fashionable London – The Savoy. Grosvenor, Imperial etc, all dated and out of sync in the modern era. Out of interest, but maybe of importance, all the old toilets on the promenade have been closed down and replaced with infrequent pay to enter booths. Why spend all this money on refurbishing the front to a high standard and then charge 20p to pee. The answer is privatisation of what should be a public service. I didn’t have 20p so peed on the beach. Sorry but it was very cold. Along this stretch they were dismantling the famous illuminations. I had a behind the scenes view and could only guess at some of the displays. One of my son’s birthday is October so it was a simple matter at the time to fill the car with his mates, drive them through the lights, fish and chip supper and home. The sands stretched on and on regardless of the hinterland. Now Blackpool Tower and the North Pier were approaching fast. Commercialism is mainly closed down in winter but there were still some venues screaming out at the punters with promises of untold entertainment. But mainly all was drab and shuttered. The golden mile closed down! I even had to go inland a block to find somewhere to eat, yes you have to have fish and chips when in Blackpool. Central and South piers were closed for winter as was the Pleasure Beach and just about everything else. Walking on the beach looked attractive but turned out to be too strenuous. The day was getting colder and the prom stretched on for miles. It was with some relief that I arrived at South Shore tram terminus and negotiated a trip back to Rossall. This entry was posted in Art and architecture., Lancashire., The Wyre Way., Walking. and tagged Art and architecture., Lancashire, Walking. on December 13, 2017 by bowlandclimber. 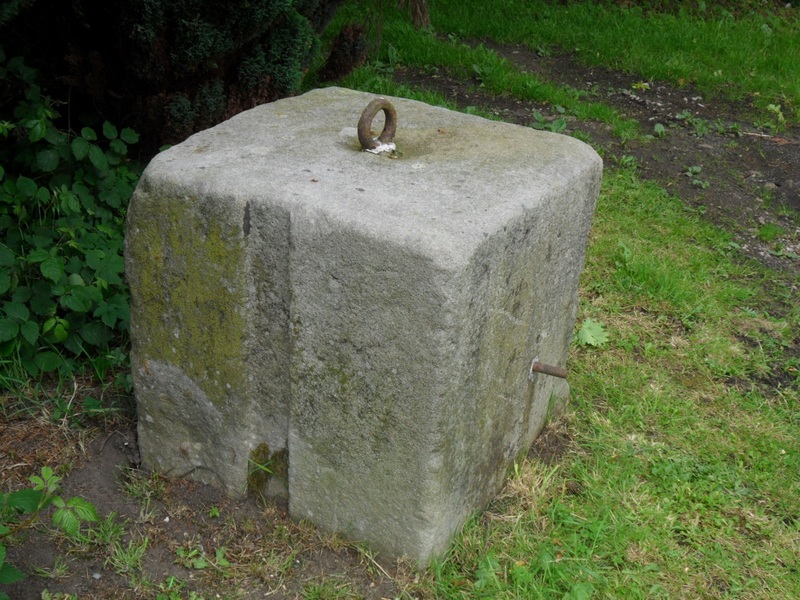 THE WYRE WAY – ROUND THE HORN AND UP THE CREEK. “Do you think we should abort?” was Sir Hugh’s opening gambit when we met to walk the remaining section of The Wyre Way. I must admit the morning was foul with mist and rain. Fleetwood looked bleak. No-one was patronising the promenade snack kiosks. Somehow the sight of the familiar statues greeting the imaginary returning fishermen, they would have endured far worse than us, galvanised me into action. “Lets just set off and see” was my usual optimistic response. Within 100 yds the rain had stopped and there was a glimpse of brightness, the rest of the day was warm and almost sunny. When I was walking The Wyre Way a couple of years ago I deemed I had completed the length of the river without this curious add on loop in the Fylde but when Sir Hugh suggested it I couldn’t miss out and risk shame. So here we were striding along the prom. What did we see? We saw the sea. But not at close quarters as the tide was out revealing vast mysterious sand banks. The famous distant views to the Lakeland Hills was denied us today. Leaving the Victorian esplanade area, with its two lighthouses and prominent North Euston Hotel, we wandered past run down beach huts, a yachting pond and on to a leaning coastwatch station. This latter was completed in 2012 and is of startling construction. The promenade/sea wall was closed further on for major works so we used a higher path adjacent to the golf course. In the distance Blackpool Tower. Turning inland we passed Rossall School and followed a few streets to meet up with the Wyre again. Good paths took us between the muddy river and the ICI [now AkzoNobel] plant, still functioning but greatly diminished. A car park appeared along with a multitude of dogwalkers. A fascinating area of boat jetties came next and led into Skipool Creek a centre for sailing but today with the tide still low everywhere looked distinctly muddy. There was a fascinating dereliction to the place, a mixture of allotment and scrap metal. A final section across low lying muddy fields, which would be flooded at high tide in an hour or so, brought Shard Bridge into view. I remember the old metal toll bridge from my time working in Blackpool when an evening’s drive for a pint in the pub seemed to be crossing into another world. Today the pub is unrecognisable in its reincarnation as a Hotel/Restaurant. I peeped over the terrace to view the ‘path’ I had tried to follow at high tide a couple of years ago. Even today it looked uninviting. The thin winters light was upon us as we reflected on a day well spent. This entry was posted in Long Distance Walks., The Wyre Way., Walking. 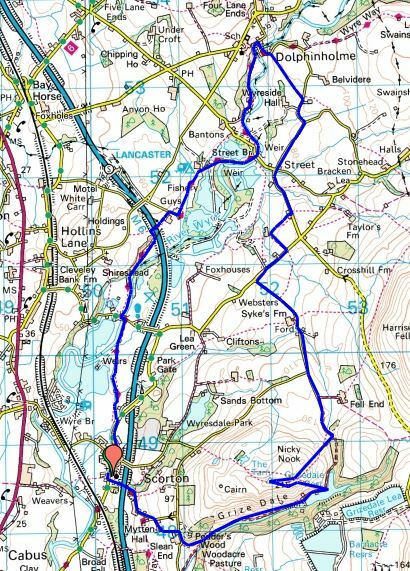 and tagged Long Distance Walks, Walking., Wyre Way on December 8, 2016 by bowlandclimber. THE WYRE WAY. UP TO THE TWO BOWLAND SOURCES. Again I have a late start, parking up in Dolphinholme. 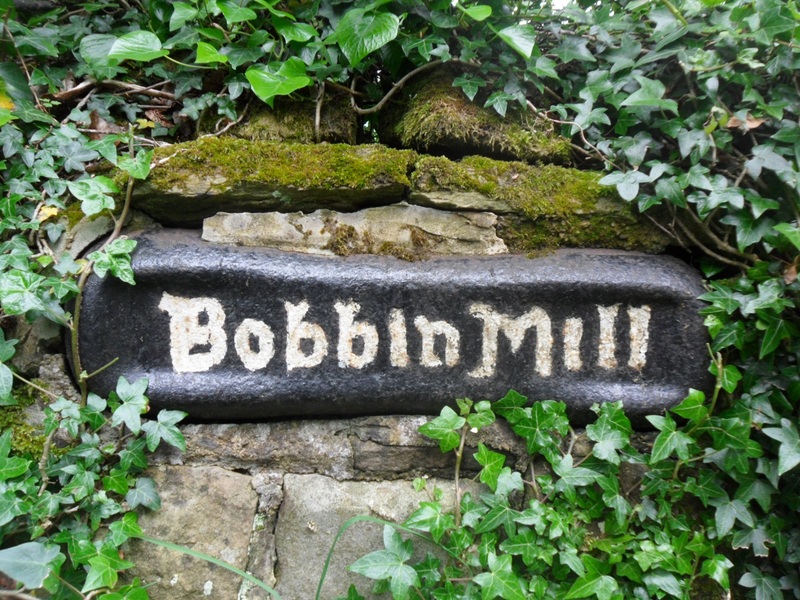 This was an important mill village at one time with many interesting buildings. Today I’m more interested in the vegetable gardens near the bridge. A man is erecting a new greenhouse to complement his vegetable beds – all very neat. I’m quickly away up into the fields of freshly cut grass, a smell so evocative of childhood summers. The Bowland Fells remain as a backdrop all day. Through woods I come down to cross the River Wyre …… …..and follow it’s north bank to a pumping station and a memorial to the people who lost their lives in the explosion of May 1984. There is little water today on the dramatic overspill of Abbeystead Reservoir, opening photo. Abbeystead Village is its usual sleepy self. There are two Wyres from here on, the Tarnbrook Wyre coming from the Ward’s Stone / Brennand Fells and the Marshaw Wyre coming out of the Trough of Bowland. The WW does a loop around them. In this upper part of the walk there are frequent WW markers expertly carved from stone and depicting local interests, I wonder who was responsible for them? Fields, with abundant lapwings calling, are crossed to reach the hamlet of Tarnbrook and a reuniting with the Tarnbrook Wyre. Chatted to an elderly man in one of the 18th century cottages, he had lived here all his life and is now the only permanent resident. I crossed the Tarnbrook Wyre for the last time at Gilberton Farm. The afternoon was very hot and sticky but I had clear wide open Bowland vistas as I crossed the watershed, Hind Hill, between the two tributaries. 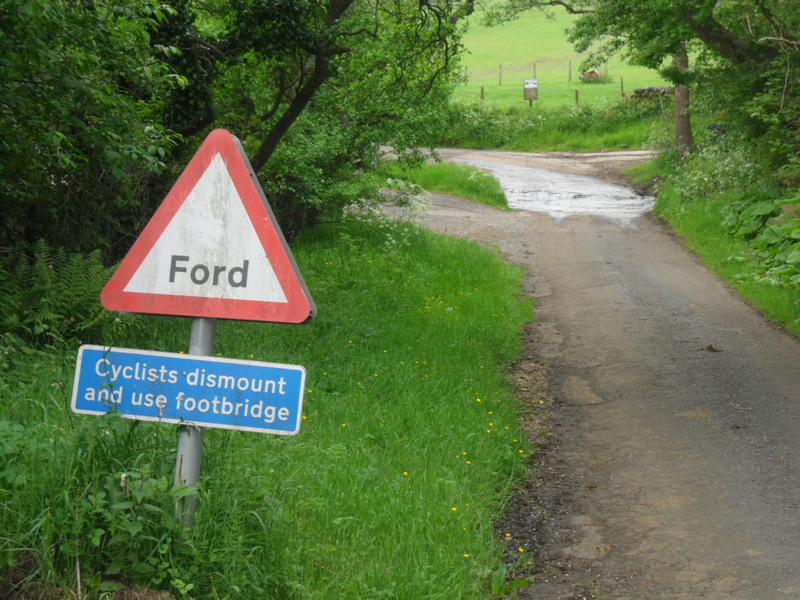 The Trough of Bowland road can be seen. I found the track down to Tower Lodge, originally the gate house to the abandoned and now derelict Wyresdale Tower. The walk back down the Trough road next to the Marshaw Wyre passed pleasantly until I was back in riverside fields again. The thought crossed my mind that I should do the classic cycle ride through The Trough again, will have to get a bit fitter on the bike first. Further down the valley one gets glimpses of the grand Abbeystead House and gardens, Lancashire home for the Duke Of Westminster. The two Wyres have united at the reservoir and its alongside here in the trees that the path becomes boggier and awkward, crocodile country. From the weir I left the previously walked WW section and followed indistinct field paths back to near Dolphinholme. I had been out for six hot hours and so arranged to meet a friend living close by for a pint at The Fleece Inn. We met to find it closed Mondays/Tuesdays! The Plough in Galgate provided suitable alternative refreshments within it’s sunny beer garden. Today’s walk has been a very satisfying conclusion to The Wyre Way, brilliant scenery and interesting locations. My rather scathing criticism of the first leg of the walk may need to be tempered, would probably be great if you follow the correct way, at the right tides and when the vegetation is low! So I would highly recommend THE WYRE WAY for a few days varied walking. 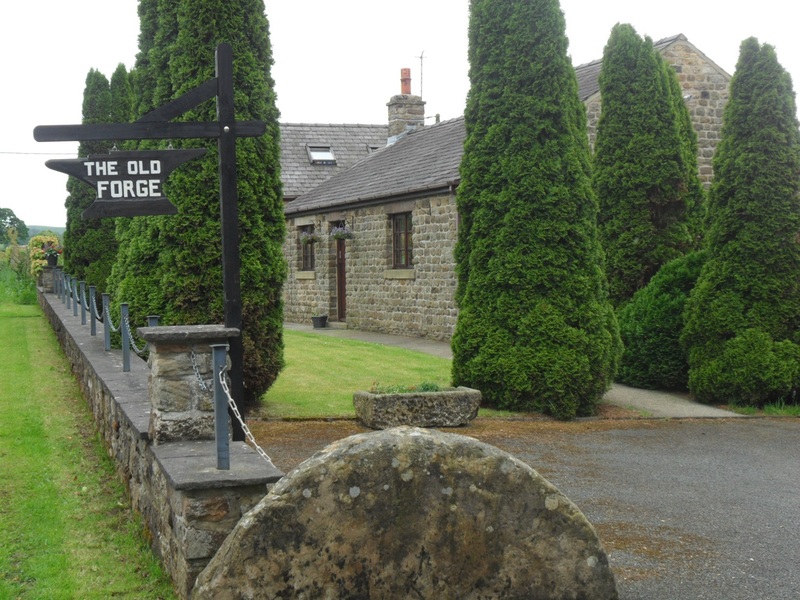 This entry was posted in Bowland Fells., Long Distance Walks., The Wyre Way., Walking. 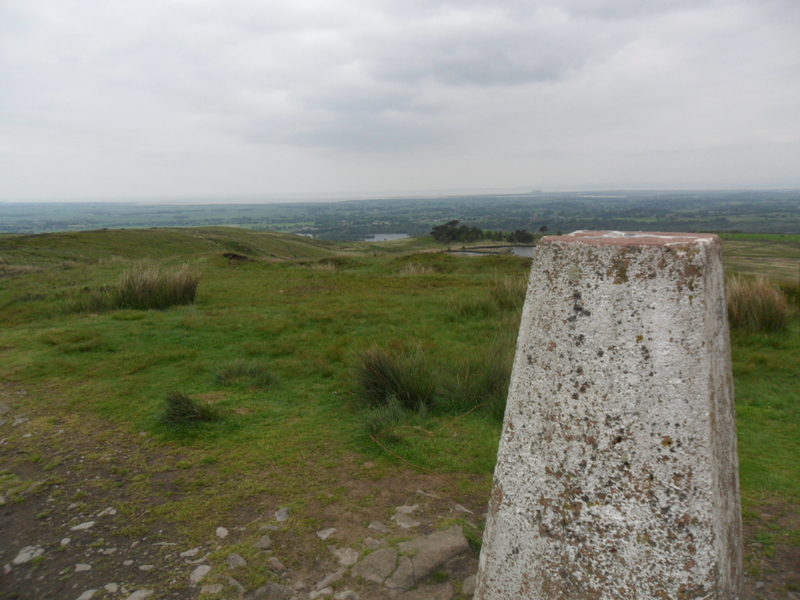 and tagged Bowland, Long Distance Walks, Walking., Wyre Way on July 24, 2014 by bowlandclimber. THE WYRE WAY. A QUIET INTERLUDE, ST. MICHAEL’S – SCORTON. Dull and misty this morning, so I was in no rush to get out. Enjoyed a lazy breakfast with one of my sons who is staying over. He intended a cycle ride over Longridge Fell and round the local lanes, I didn’t feel I could keep up with him so I set off for more of the Wyre Way. This entry was posted in Long Distance Walks., The Wyre Way., Walking. 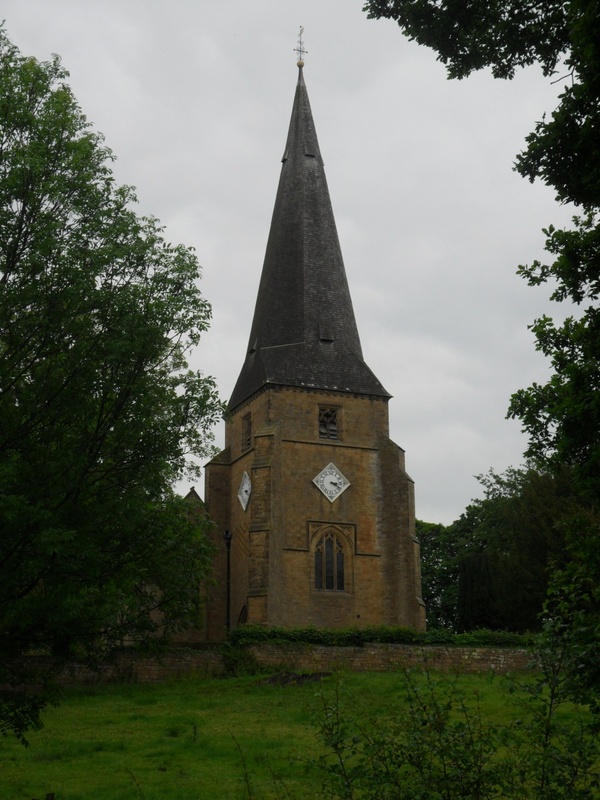 and tagged Long Distance Walks, Walking., Wyre Way on July 23, 2014 by bowlandclimber. 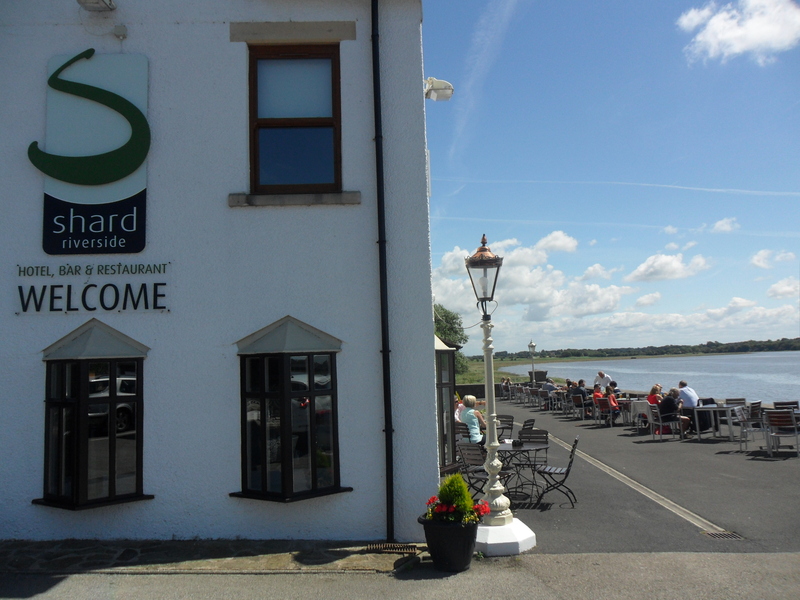 ON THE WATERFRONT – THE WYRE WAY, KNOTT END TO ST. MICHAEL’S. This turned out to be a bad day for myself, whom I took to be an experienced walker. No one else has that assumption. Having become interested in the Wyre Way, which I had encountered further up near its source I ‘planned’ a few days walking its 41 miles. Today I intended to explore upstream from the river mouth at Knott End/Fleetwood. Buses were taken from St. Michaels via Poulton to deliver me at Knott End on a beautiful sunny day. What better relaxing way to start the day than with tea and toasted teacakes in Knott End Cafe. This building was originally part of the station at the end of the Garstang-Knott End Line and has many interesting old related photos on the walls. Eventually I set off as the ferry was coming across the Wyre from Fleetwood with the Lakeland Hills in the background. I had hit upon low tide and as this exposes lots of mudbanks the river did not look at it’s best. Flocks of waders were feeding at the edges, mainly Dunlins and Oyster Catchers I thought. Crossing a golf course I arrived in seaside bungalow suburbia which I found difficult to navigate out of. No signs for the WW which I thought would be in abundance, I only had with me the old 1:50000 map and I had not marked on it the line of the route. Big mistake no.1. Soon I was out into the fields on a good path which eventually deposited me off route in Preesall on the main road I had just travelled. No problem I connected via paths back to the coast and onto the sea ‘wall’ A minor Burrows Lane, never met a car, was followed to the yacht mooring’s at Wardley’s Pool. From here I had a run in with another holiday park which I felt lucky to escape from to the river again. The path now seemed to follow the marshy waters edge towards the new Shard Bridge. Sea-lavender was very profuse and colourful on this stretch. After all my delays the day was passing and the tide was coming in once more – had never given that a thought. Big mistake no. 2. Reached the Shard Bridge pub with dry feet just! The last time I was here there was still the old toll bridge and it always seemed a bit of an adventure to visit this pub. Was glad to find they were serving Bowland Brewery ‘Hen Harrier’ on draught so I relaxed over a pint in the sunshine on their patio overlooking the river. The route was signed straight from the pub along the water’s edge and I stepped straight onto the, by now water logged, path. Big mistake no. 3. Things became quickly worse as the tide rose further and I was fighting my way through sea grasses in a foot of water. By now there was no sign of a path and survival became uppermost on my mind [but strangely not to turn back]. When my floundering in the water became dangerous/comical I managed with difficulty to scale the brier and nettle covered embankment and threw myself across the barbed wire fence into the sanctuary of the higher field. Trespassing along the first field boundary was no problem but having yet again climbed over barbed wire I now found myself in a head high maize crop – jungle warfare. This repeated itself for many a field with only crop rotation providing easy or difficult progress. Nothing fit on my map [without field boundaries] and the afternoon became hot and sticky. Salvation seemed to be close as I reached a recognisable farm on the marsh edge. Stopping to ask for advice I was immediately attacked by two overgrown ‘pit bulls’, a mastiff and the usual terrier. The farmer came to my rescue, of course saying they wouldn’t bite me. We ended up having a pleasant chat about the area, the river and the fact that the tides had been at their highest. He reassured me that as now the tide was retreating there would be no problem following the path through the marshes. 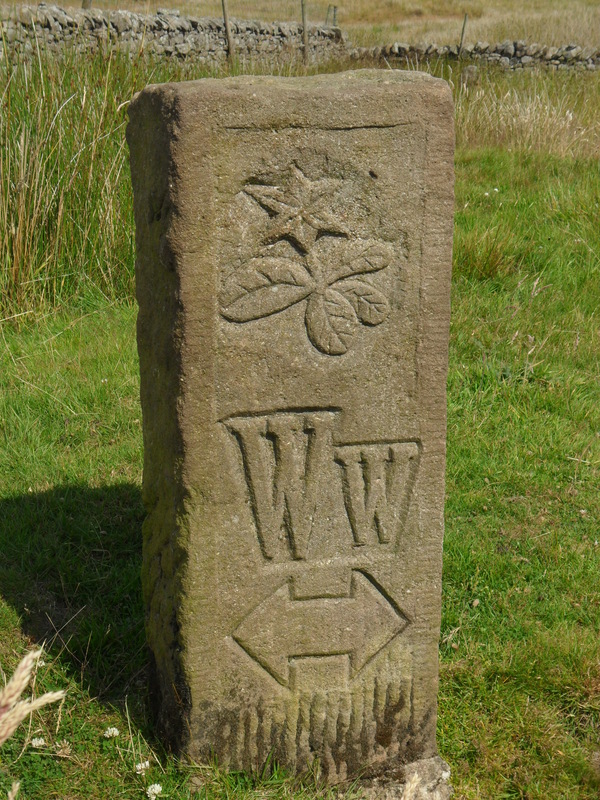 So on I went, now with the occasional WW waymark there had been none before as I was mostly off route. Stopping to check my position I realised I had lost my fairly useless map but I thought I could manage without it now the going was easier with occasional way markings. Big mistake no. 4. The walking across the marsh was indeed easier for awhile. Jelly fish were a common sight either high and dry or isolated in salt water pools. Before long the path became overgrown and I was once again fighting through reeds, tripping over and generally lacerating my legs and pride. The occasional tantalysing waymark drew me into worse territory. It was with relief that I staggered onto a road. By now my sodden boots and socks seemed to have dried out! The lack of a map meant I couldn’t pick up any WW footpaths and none were signed so I trudged along the riverside lanes. The last mile I was able to take to the river defences for a pleasant walk into St. Michael’s, the river now contained between the fields. 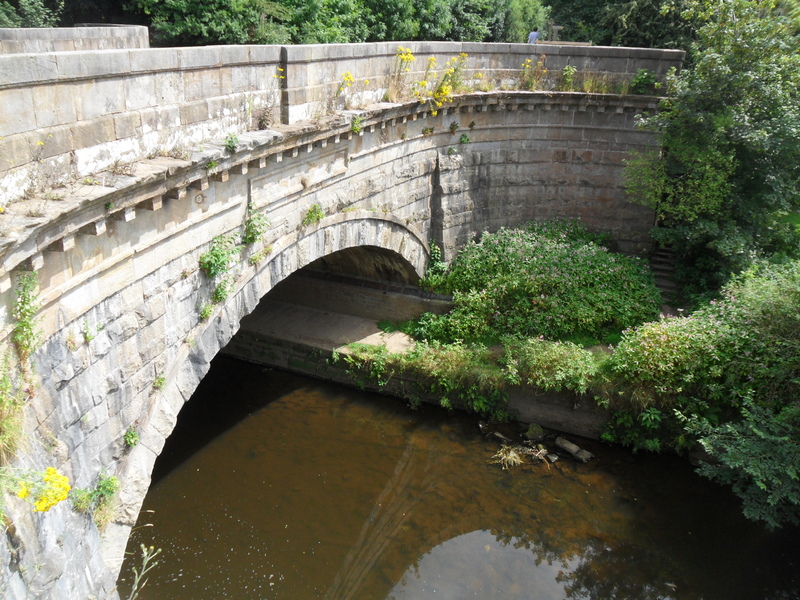 I finished battered and bruised at the bridge over the Wyre next to the church and close to the Grapes Inn where I enjoyed a Timothy Taylor ‘Landlord’ as payment for my parking all day in their carpark. Cottages and pub. St. Michael’s. I’m sure I made even more mistakes than highlighted above but the day has turned out to be quite an adventure and once I’ve bought another better map I will continue on the Wyre Way. One bonus of today I have not mentioned were excellent views of the Bowland Hills across the Fylde. It is in these hills River Wyre originates and where I will be heading towards next. As a post script I do have to comment that the route is not well waymarked and apparently little walked. 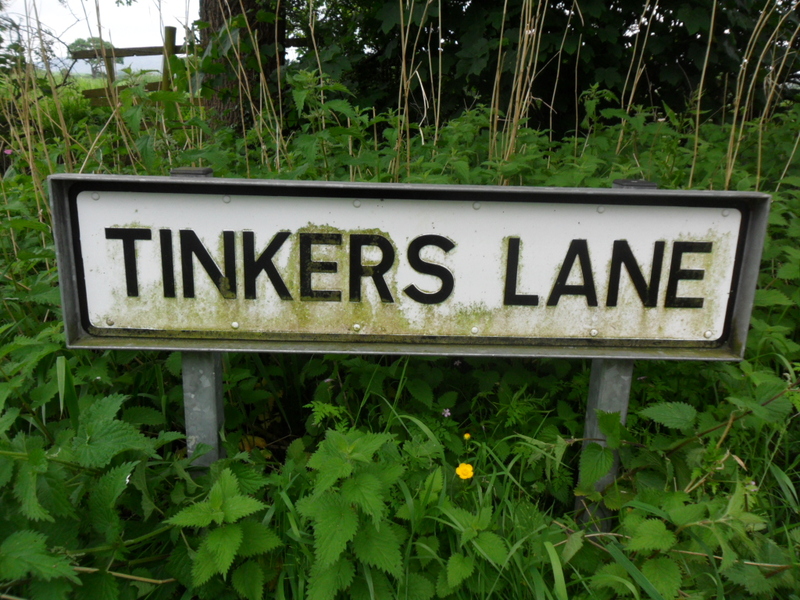 This entry was posted in Long Distance Walks., The Wyre Way., Walking. 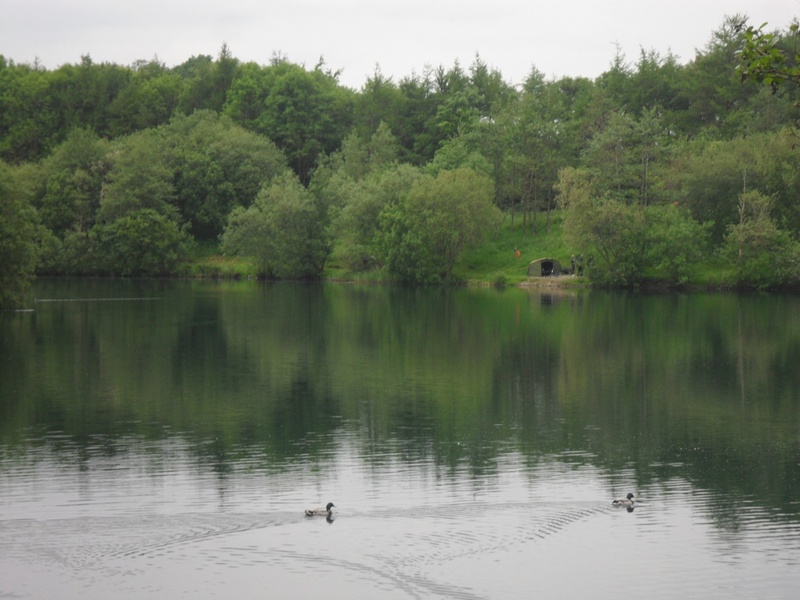 and tagged Long Distance Walks, Walking., Wyre Way on July 18, 2014 by bowlandclimber. NICKY NOOK AND THE WYRE WAY. See my map for today’s circular route. As you drive up the M6 north of Preston a well known landmark is a church spire poking out of the trees to the left of the motorway. This is St. Peters Church, Scorton and it is here that I started my walk today. it must be 20 yrs since I’ve walked up Grize Dale and climbed Nicky Nook 215m! It was a popular walk for us when the kids were young. 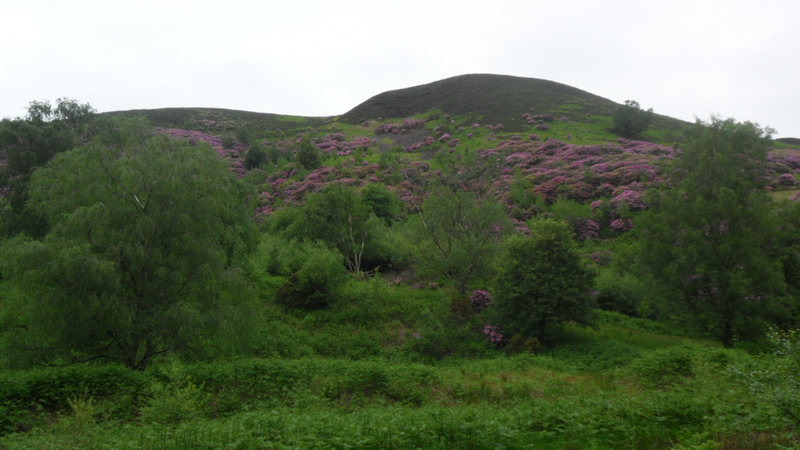 The fell seemed to be cloaked in colourful escapee rhododendrons giving it a strangely Nepalese look. The view over Morecambe Bay was as extensive as ever but a little dull for photos. A direct route off the hill down pastures alive with lapwings and curlews took me onto quiet lanes heading north with lots of reminders of the past local history. 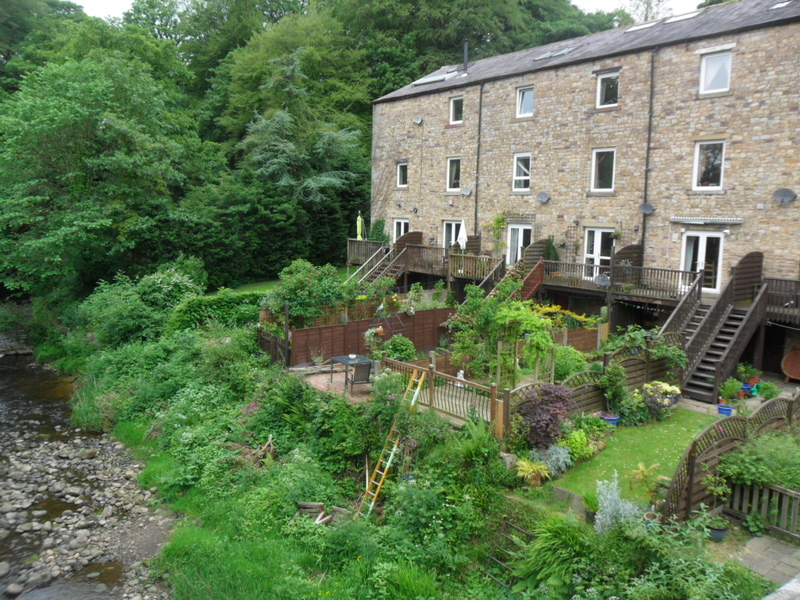 Lower Dolphinholme was reached and the converted worsted mill, which once employed over 1000 people, passed to arrive at last on the River Wyre. Picked up the Wyre Way signs here and was immediately taken away from the river and down the valley passing further mills. 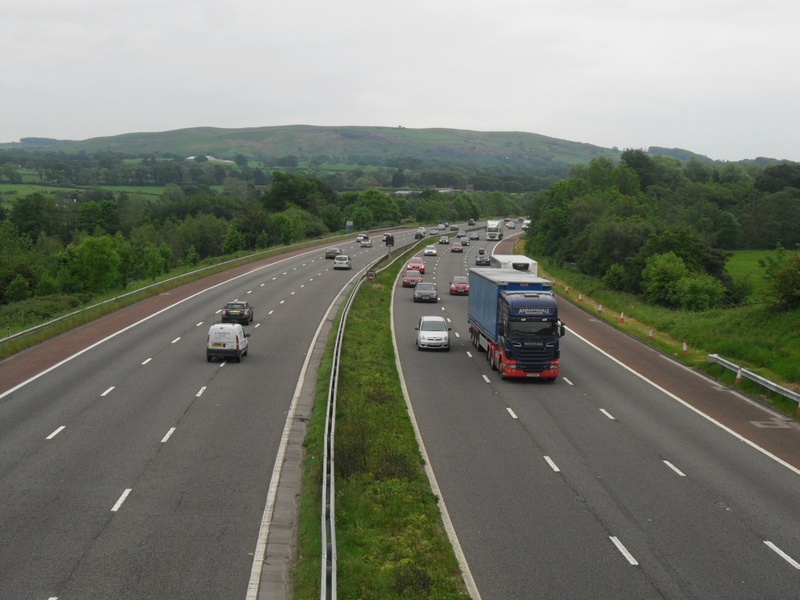 The walking was not as good as the map suggested, entering several busy caravan and camping sites with the noise of the motorway ever present and the river a poor companion. The best bits were when passing by the numerous popular fishing lakes, presumably old gravel pits. There was a good view back up to Nicky Nook from the frenetic motorway bridge! Bits more of the River Wyre led me back to Scorton with cafes and ice cream. A pleasant 10miles but the highlight was Nicky Nook rather than the Wyre Way. Will explore more of the latter in the coming weeks to see if it has more to offer as a short LDW. A weir on the Wyre. 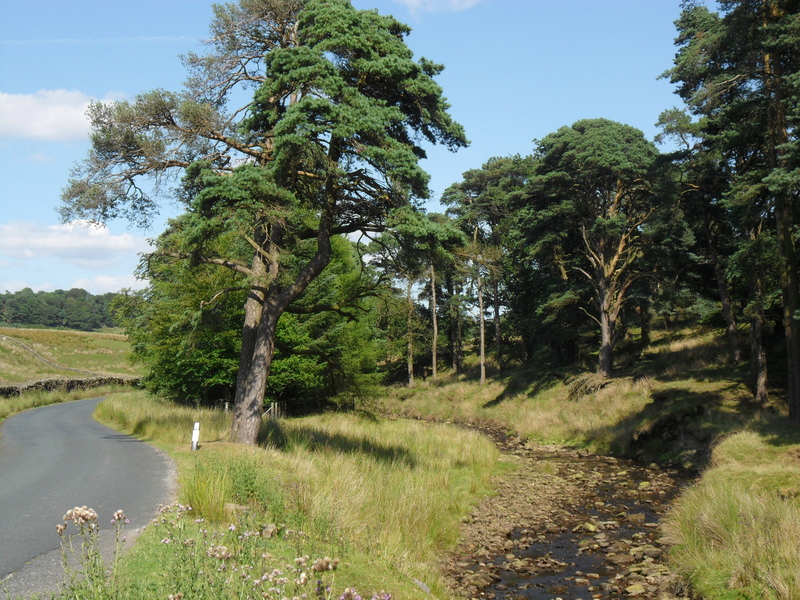 This entry was posted in Bowland Fells., Long Distance Walks., The Wyre Way., Walking. 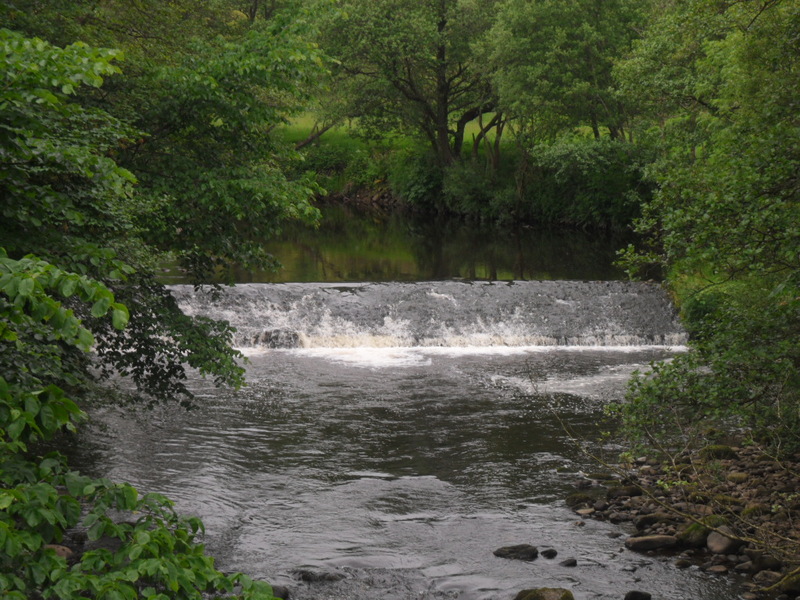 and tagged Bowland, Long Distance Walks, Walking., Wyre Way on May 31, 2014 by bowlandclimber.